Anne McTaggart MSP put herself “in the picture” about epilepsy issues today (Monday 20th May 2013). 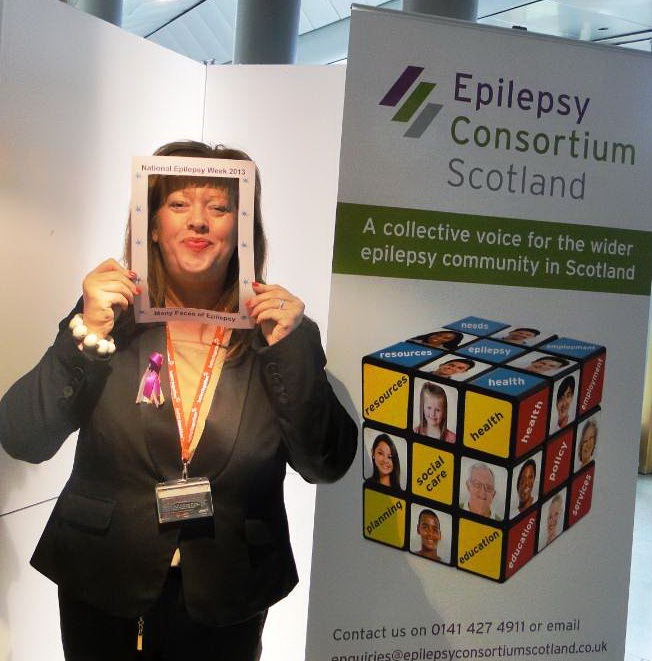 Ms McTaggart framed her personal support for 54,000 people living with epilepsy in Scotland with a National Epilepsy Week (19-25 May) group photo to help highlight this year’s ‘many faces of epilepsy’ theme. “As an active member of the cross party parliamentary group on epilepsy, I am a keen supporter of Epilepsy Scotland’s call on the Scottish Government to tackle this treatment gap and enable seven in 10 people with epilepsy who could become seizure free to receive optimum care. This entry was posted in Uncategorized and tagged Charity. Bookmark the permalink.